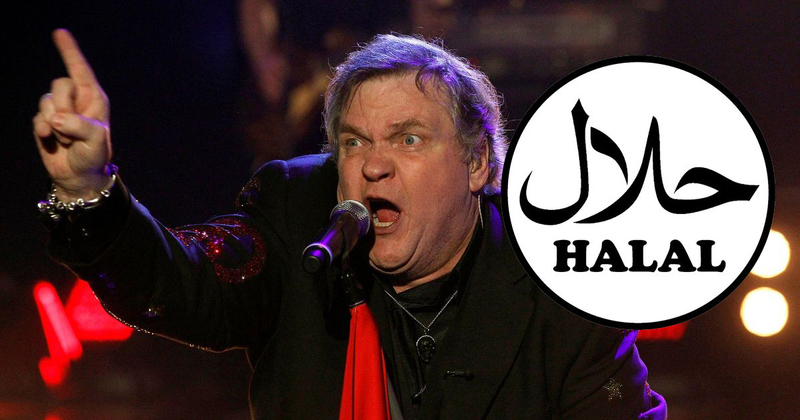 Singer Meat Loaf has sparked anger among his army of fans by becoming Halal. Meat Loaf, or ‘Meat’ to his friends, has never appealed to Muslim fans due to the non-Halal nature of his being. Now, in an attempt to reach a new set of fans in the increasing Muslim population in both the USA and UK, he has become 100% certified Halal Meat Loaf. Meat Loaf claims that Muslim fans can now buy his music without fear that he may not be permissible under Islamic law. In a further move to appeal to a new sector of fans, Meat Loaf has recorded new versions of a number of his most popular tracks to make them more Halal friendly. The new Halal album is released next month. Im discustured. Meat Loaf isnt halol. Im not bying ne ov is knew musac!!!11!! What do you think of Meat Loaf’s decision? Will you be seeing him in concert and buying his new music?